Today, Phoenix are all mainstream; but back in 1999, they were part of a distinct but influential movement of French house music. Phoenix guitarist Laurent Brancowitz had played alongside Bangalter and De Homem-Christo in their pre-Daft Punk band Darlin’. Phoenix also recorded for Source, a label eternally associated to the French touch genre due to releases by Air and Étienne de Crécy. ‘Heatwave’ was the the band’s second single and there’s no mistaking the filter disco in this one. Today, the track’s chicken-scratch guitar, tight bass and drums are best known as the basis for DB Boulevard’s 2002 single ‘Point of View’. It’s not hard to hear that Parcels’ new single ‘Overnight’ is produced by Thomas Bangalter and Guy-Manuel de Homem-Christo. Choppy guitars and disco handclaps, the Aussie-French combo is uplifting, easy listening and pressed on the Kitsuné label. The gorgeous ‘Veridis Quo’ is a electronic ode of sorts to what sounds like a Handel organ concerto. The hypnotic sound features on their 2001 album Discovery. Have a great weekend. And now for a current slice of pop for this Thursday morning. When the Abel Tesfaye (aka Weeknd) and Daft Punk’s Guy-Manuel de Homem-Christo and Thomas Bangalter got together in the studio, the result was ‘Starboy’ and ‘I Feel It Coming’. I select the latter for its synth-laden, disco love groove. It sounds like the collaboration that Michael Jackson and Daft Punk never did. And as for the new Star Wars-influenced video… glorious. Both tracks featured on last year’s long player Starboy. Featuring the well placed vocals of Pharrell Williams, ‘Lose Yourself To Dance’ is a celebratory disco track off Daft Punk’s 2013 album Random Access Memories. The YouTube video is the glitter ball on top. Have a great weekend. At some points when writing these blogs, I fear a block in inspiration. To overcome such concerns, I listen to a lot of music and think of ways to chart a course through the near-infinite source material. One simple way to do this is by chronology. Treating 2000 as a ground zero (which it certainly was not), I intend to stroll through recent years over the next couple of weeks or so. Year 2000 featured Daft Punk in full pomp as they produced and released their second studio album Discovery. Romanthony’s autotuned vocals “One More Time” on the album’s lead single would joyfully fill every club, gym and radio station for months. Have a great week. Would you like to hear a touch of Animal Collective produced by Daft Punk. Well yes, but how’s that going to happen? Well if you are as brassy as the Collective’s Panda Bear, you ask the duo to produce one of your tracks; they politely decline; you ask them again and they say no; but for their next album (Random Access Memories), they remember your chutzpah and invite you to their recording sessions in Paris. And what’s more, if those Frenchies had not got so lucky with with the choppy guitar of Nile Rodgers, ‘Doin’ It Right’ would have been the best track on the album. At a time when Daft Punk is everwhere, lest we forget Michael Andre’ Lewis. Last year, the techno-jazz-funk pioneer passed. In 1976, he signed with Motown and took on the persona of Mandré, the mystery artist from outer space. Always performing from behind a futuristic helmet, Mandré experimented with funk, soul, jazz, and disco, which he laced with synthesized rhythms. The instrumental ‘Solar Flight (Opus 1)’ features on Mandre’s self-titled debut album. Space man! Speaking of Gallic cool, what a few months it’s been for Daft Punk?! In February, ‘One More Time’ was officially recognised as the best dance track ever (well by enough house-music-loving readers of Mixmag anyway) and then in the last few days they finally release ‘Get Lucky’. The highly anticipated album Random Access Memory certainly has its herald. A choppy guitar riff from the Nile Rodgers (yes Nile Rodgers), the falsetto of Pharrell Williams and unmistakable sound of the robots’ Roland Vocoder. It’s a perfectly engineered dancefloor groove – let’s hope the rest of the album lives up to just a little of the heightened expectations. ‘EDM’ hey? So does that mean that I can’t call it house? Daft Punk took house music to heights that seemed to suppress what followed. But then, 10 years later, those pesky statesiders get a taste for open-air rave. Suddenly, Deadmau5, David Guetta and Swedish House Mafia are playing to fields. Who would have thunk it? A couple of months or so back, such deep questions were crossing my mind when I got a call about a local event involving DJ Joel ‘deadmau5’ Zimmerman. On my commute home along Union Street (south side of the Thames), a stage was being built for an impromptu party. I couldn’t make it, but the coverage shows he opened the event with ‘Some Chords’. It’s from his album 4×4=12, it’s a house anthem, but is it a higher state of consciousness? In 1998, Stardust was teaching us that the ‘Music Sounds Better with You’ and The Tamperer was asking ‘What’s she gonna look like with a chimney on her?’. By 2005, Madonna was mining “filter disco” to death with her album Confessions on a Dance Floor and its lead single ‘Hung Up’. But in between, Modjo, Roger Sanchez and Daft Punk refined the perfect filter sound. In fact, the Daft Punk’s Bangalter was part of the Stardust project which helped establish this hybrid of dance music. Using a muffled sound, seemingly recorded underwater, production would layer it with disco loops over and over until boom, a surge of bass would appear. There is no better example of this than 2001’s Daft Punk’s ‘Digital Love’. The nods to ELO & Buggles help of course. Veridis Quo! Tagged 2001, Bangalter, Buggles, Confessions on a Dance Floor, Daft Punk, Digital Love, ELO, filter house, Hung Up, Madonna, Modjo, Music Sounds Better with You, Roger Sanchez, Stardust, The Tamperer, What’s she gonna look like with a chimney on her? Slam’s ‘Eterna’ was released on Soma Quality Recordings in 1991. This was “progressive house” a year before Gat Decor’s ‘Passion’ would be deemed to get the ball rolling. A classic start for the forward-thinking Scottish label that would hit the big time five/six years later. In 1993, Thomas Bangalter and Guy-Manuel de Homem-Christo presented a demo of their own work to Slam’s Stuart Macmillan at a EuroDisney rave. Two years later, the two of them would record ‘Da Funk’ on the Soma label. Daft Punk had arrived. 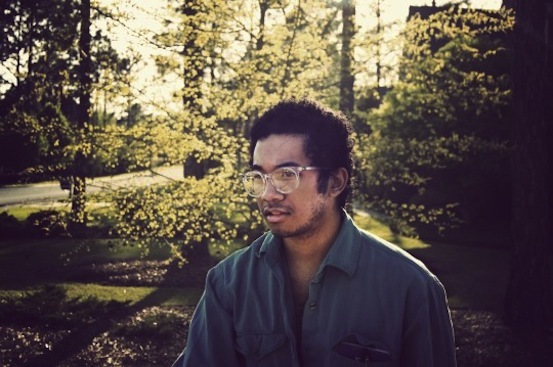 ‘Still Sound’ is off Toro Y Moi’s second album Underneath The Pine. From South Carolina, Chazwick Bundick and his Toro Y Moi sound is suitably lazy, sun-soaked and cool. You will notice an air of the French invasion (Daft Punk, Air, Mr Oizo and Etienne de Crecy) and Money Mark’s keyboard of the late 1990s – that mix of dreamy electronic funk, jazz, and hip hop that was so refreshing, and, let’s face it, still is. Have a great weekend.